I’m not a Warsaw newbie. This is my 6th or 7th visit in the past 10 years. My first visit was in mid-December of 2003 where I remember daylight lasted 6 hours, at most. The hotel we used then was dated, even back then. Things were bleak and rainy, not even seeing the snow seemed pretty. Restaurants were so-so with LOTS and LOTS of pork. Yes Fukier, that is you! Museum guides that made you look at every picture of every Polish nobleman. 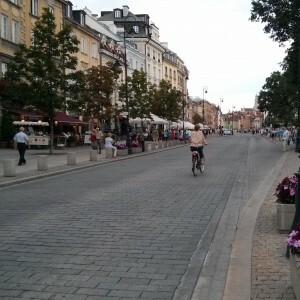 It was a relief to head out of Warsaw and arrive in Krakow. On later visits, things seemed to be looking up. 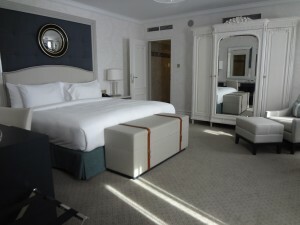 A new hotel opened that I really liked – a little boutique gem called Le Regina. Restaurants seemed to be getting more hip and less heavy. I loved the quirky decor and delicious food at Ale Gloria. I discovered “rose” donuts at Blikle. 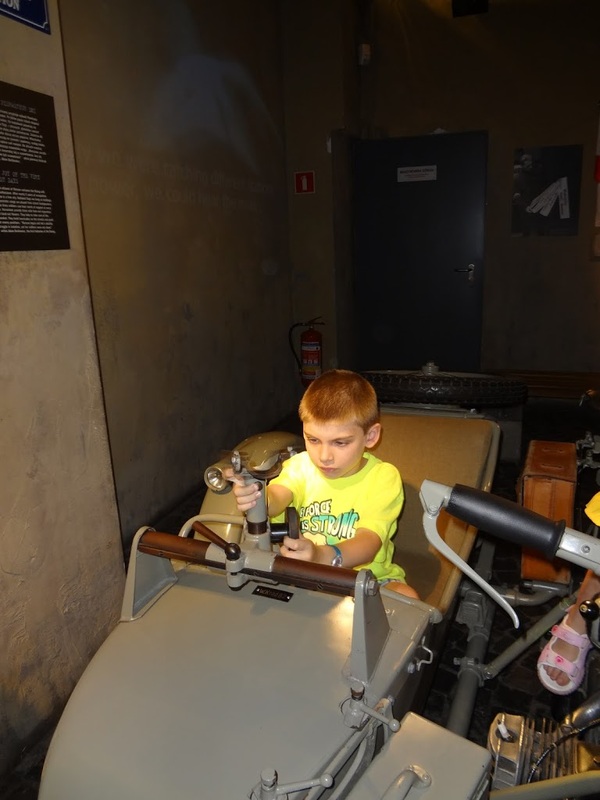 Here I found my favorite museum, The Museum of the Warsaw Uprising. I’ve just left Warsaw after a three night stay and I now have to say, this city has wormed its way into my heart. The gorgeously renovated Bristol was my home and I cannot remember ever seeing such a great transformation. From tired “old world style” with heavy draperies and faded furniture, to upscale elegance with black walls in the hallways (Yes! I know, it works somehow). 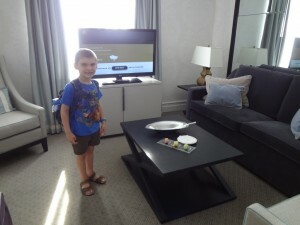 The rooms are fresh and light and the hotel maintains one of the most helpful and professional staffs. This is my top pick for all my guests visiting Warsaw now. After doing a hotel site inspection with my five year old in tow (he was in charge of taking photographs for me) the hotel sent a lovely little backpack to the room for him. What a nice touch to make a kid feel special! 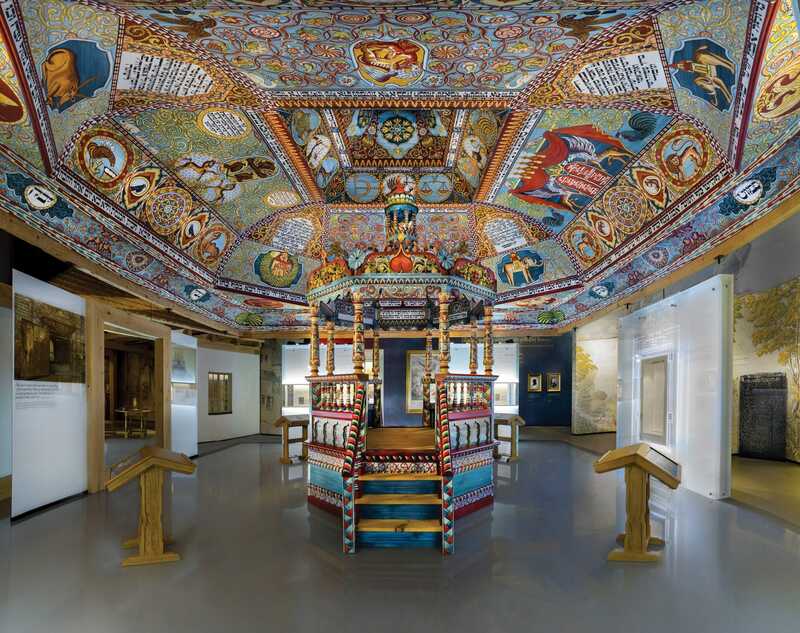 I also had a chance to get a sneak peek at the amazing new Museum of the History of Polish Jews. Unfortunately, the full opening has been plagued by delays and they now anticipate all exhibits will open at the end of 2014. However, they’re already letting people in for a preview of what is to come. 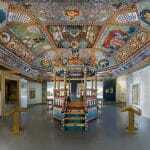 They have rebuilt an ancient wooden synagogue from the countryside, down to the very unusual painted ceiling. They’ll have a kosher restaurant (open for lunch and dinner) with freshly prepared kosher food. Changing exhibitions will keep the museum fresh. Probably the best thing about this museum is that it’s not a museum about death, its centered around Life. Looking at the 1000 years of the lives of Jews in Poland. The Holocaust is mentioned, of course, but this is not the focus which is a big difference from most Jewish memorials in the country. I can’t wait to see the finished results when the exhibits are completed. We’re already taking our guests inside for these private visits to see what is to come. 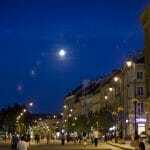 One of my favorite things to do in Warsaw is to take an evening stroll. 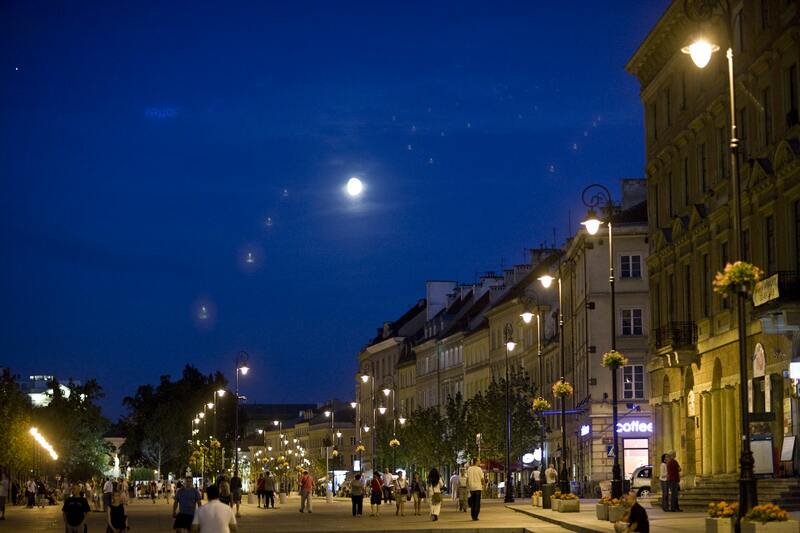 Whether it’s to the tourist-hub of Old Town or down the buzzy Nowy Swiat, the city is full of life, cafes, restaurants and shops. All are bustling. People are out and about. My son and I took a stroll every night in the early evening hours and he was amazed at all the life around us. Of course, food is important. Food here has improved drastically in both quality and variety. More on that in a later post, so stay tuned!